The original plan had been to write about the traineeship once a fortnight, but that resulted in small essays and cutting out some interesting details. And so for now, I shall be writing every week. The last 7 days have proven my point exactly, three amazingly cool days have happened, each of which could rightly deserve its own blog post. It all kicked off with a road trip to the Fine Foundation Marine Centre in Kimmeridge Bay for a training session with the two trainees and the marine wardens there. It was a gorgeous day – blue skies, sunshine and just a touch of wind. 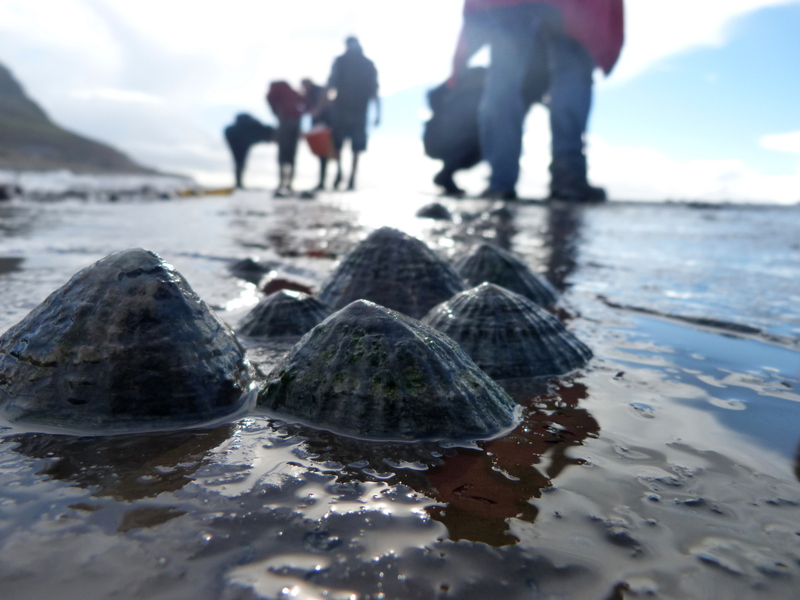 After a morning of discussing the potential species out in the rockpools whilst we waited for low tide, we headed out to get our feet wet. It began slowly, a few limpets and flat periwinkles until we got past the waterfall and out onto the beds of rock with the pools. And boy, did we find stuff! 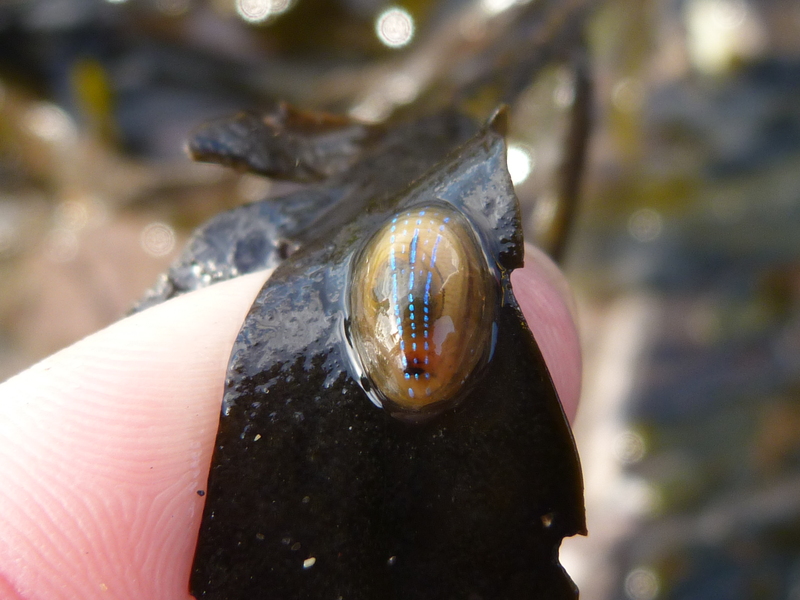 There were: anemones (of three species), fish, crabs, topshells and shrimps, as well as more limpets (both common and blue-rayed) and periwinkles (and their eggs). Of course, there were a variety of seaweeds but we weren’t examining those this time (that fun is saved for slightly later in the year). 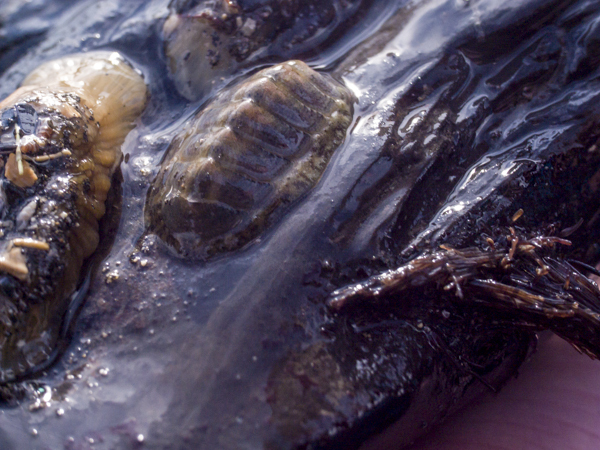 Our last exciting find was an unidentified species of chiton, a bizarre looking mollusc. 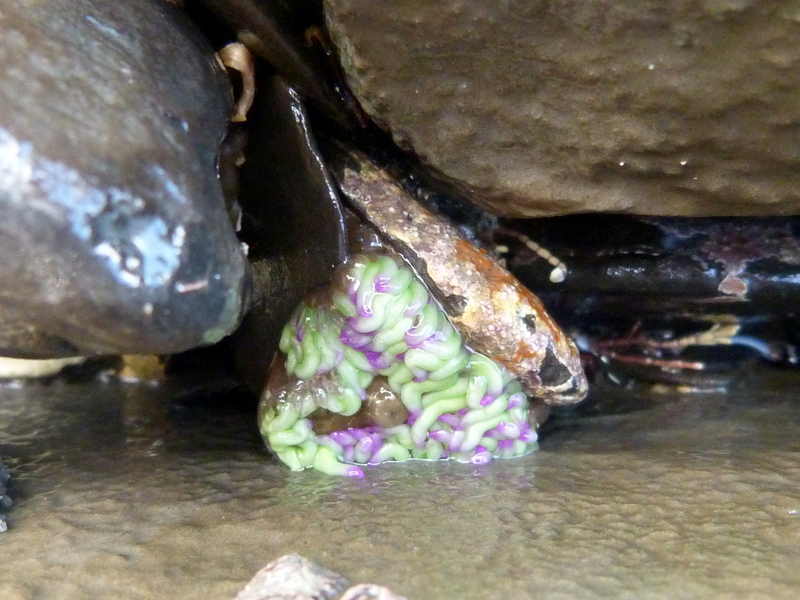 I was congratulated on finding it, but as I said to the others, I was just “thinking seashore creature” (i.e. 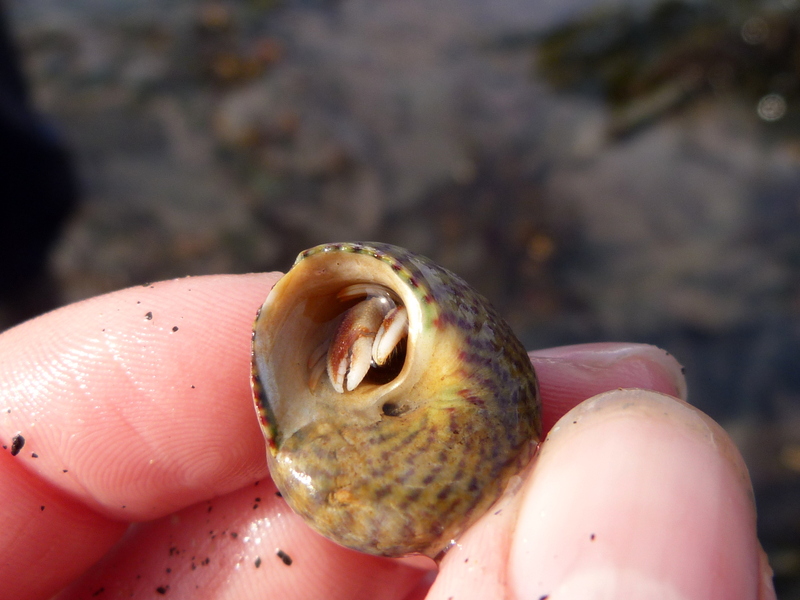 if I were a seashore creature, where would I be hiding?). 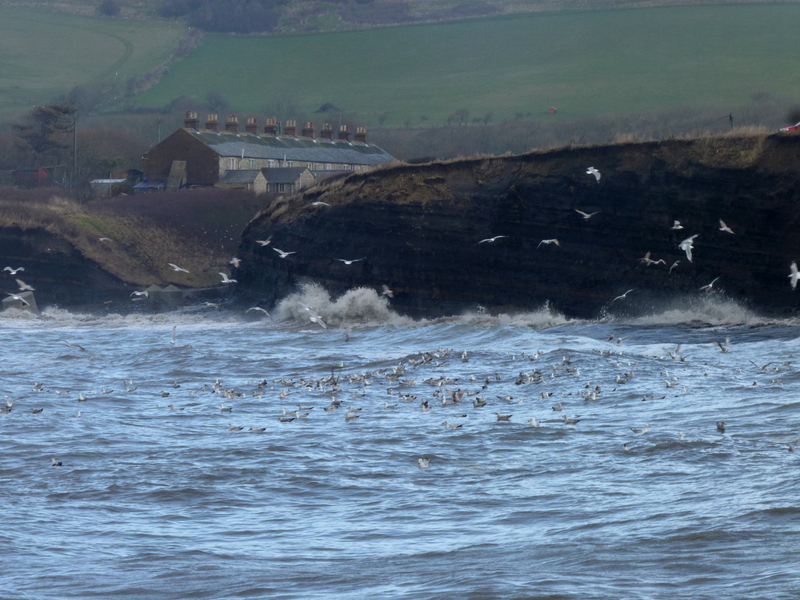 On Saturday, the aforementioned Kimmeridge trainees, my Chesil Centre colleagues, and I attended a MARINElife training course on cetaceans and seabirds. 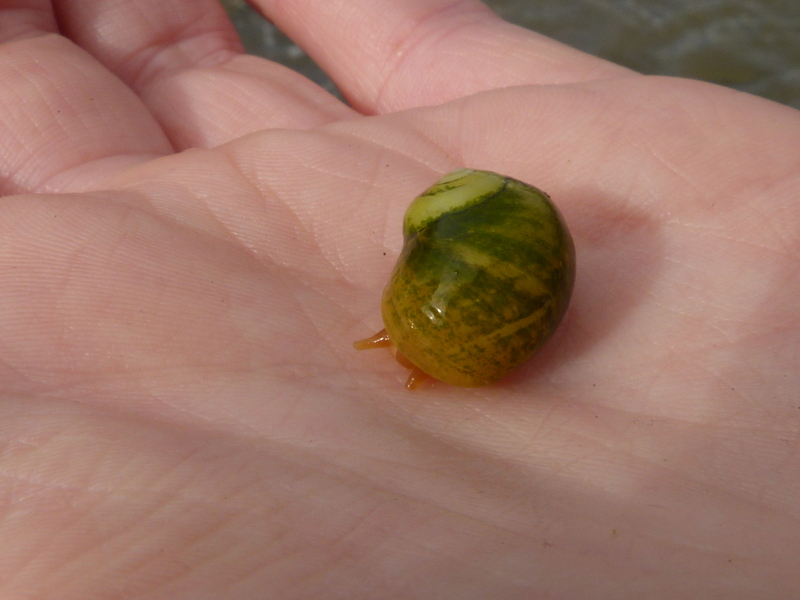 I do believe we were all quite blown away by the variety of species found in UK waters. Despite being an all-round naturalist, I will admit to having lacked knowledge on our marine wildlife. And you can add coastal wildlife to that as well, hence why this traineeship is particularly useful for me, I’m learning loads! Did you know that the most of our local dolphins and whales come under the taxonomic group of Odontoceti who are the toothed whales? 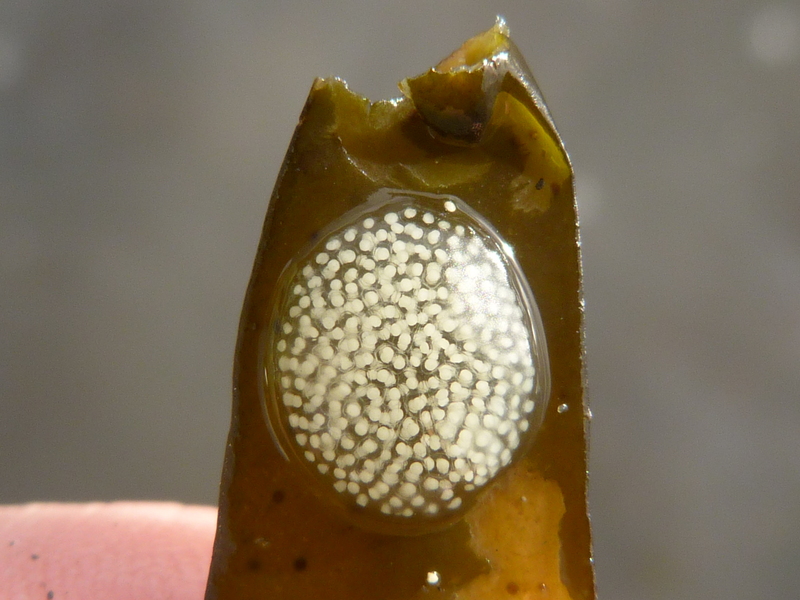 A note on taxonomy: Taxonomy is the classifying of organisms (i.e. animals, plants etc) into similar groups dependent on shared characteristics. Thus the dolphins and whales in Odontoceti are more closely related to each other than they are to the other group – Mysticeti who are the baleen whales. As well as discussing the species, we were also told about the ferry-based surveys that MARINElife volunteers undertake and introduced to how it all works. Jess had particular fun trying out the Heinemann stick – which is used to measure how far away something is. Interestingly, each volunteer has their own set of sticks (since each volunteer is unique in height/arm length) as one stick is needed per vounteer and a different stick is needed for each ferry that is travelled on (again, ship designs are different). On a day off, I headed up to the Portland Bird Observatory to introduce myself to the warden there, Martin Cade. 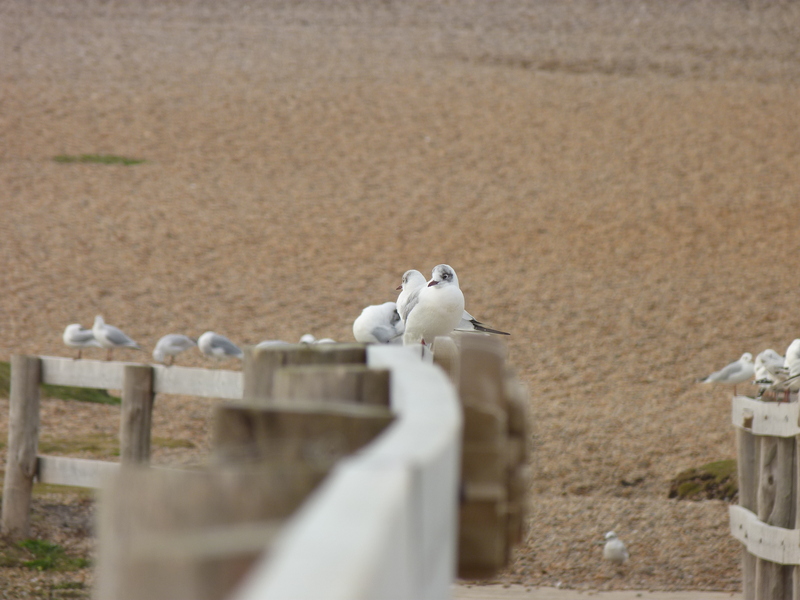 Having tweeted to each other about birds and moths, I reckoned it was high time that we actually met in person! I’m particularly keen on the moths as he runs moth traps every night from spring onwards, and fortunately my mentor is happy for me to head up and help out. With the recent weather, it is taking a while to kick off but now that we’re getting into spring, I shall definitely be up there quite often! I took a walk out to Portland Bill and practised my skills at photographing flying gulls – I definitely need more practice still but I do believe I’m getting better. Naturally, I was also admiring the coastline, it is so dramatic and impressive, especially with the waves crashing in. 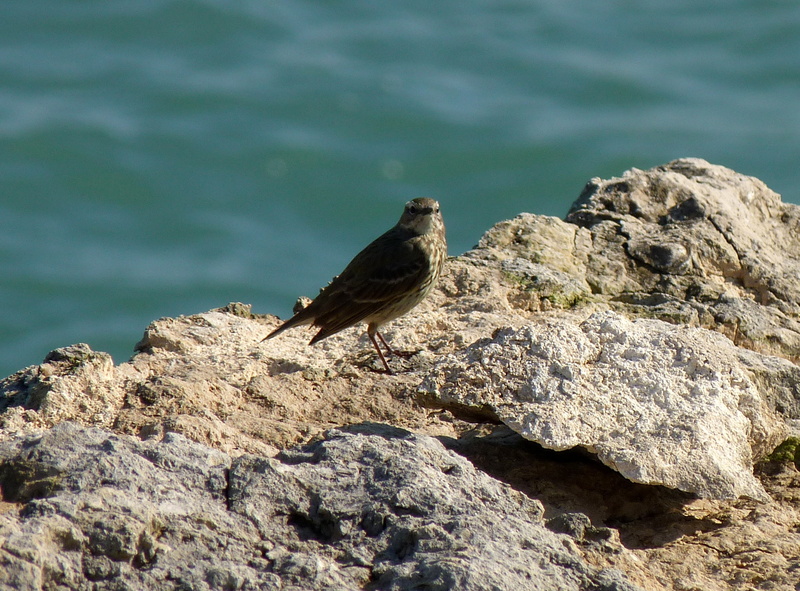 I was fortunate to see one of the local rock pipits that breed up there, flying about the place and singing away. Great little bird. Back to PBO, where I basked in the sunshine and made friends with the cat, until I got distracted by the little birds flying to and fro – including goldfinches and greenfinches. 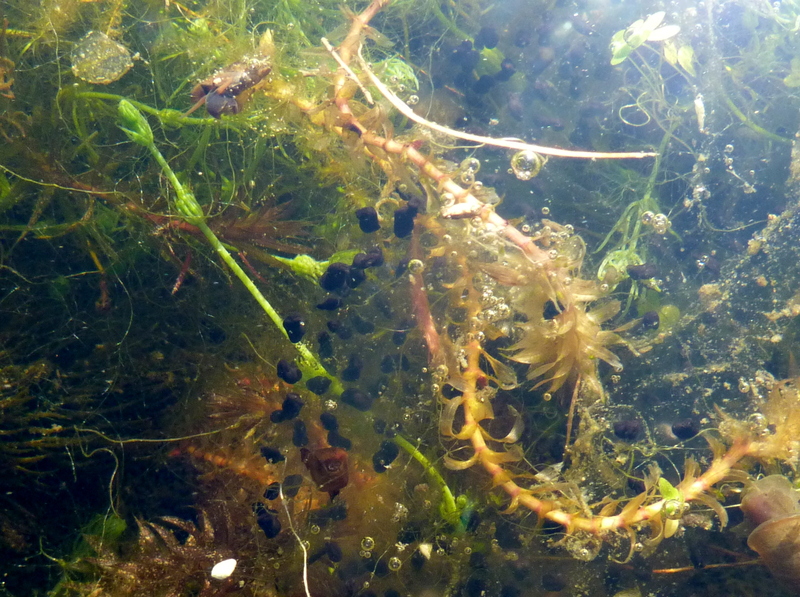 I also saw a bee, a toad, newts (either smooth or palmate) and toadspawn. What a day! 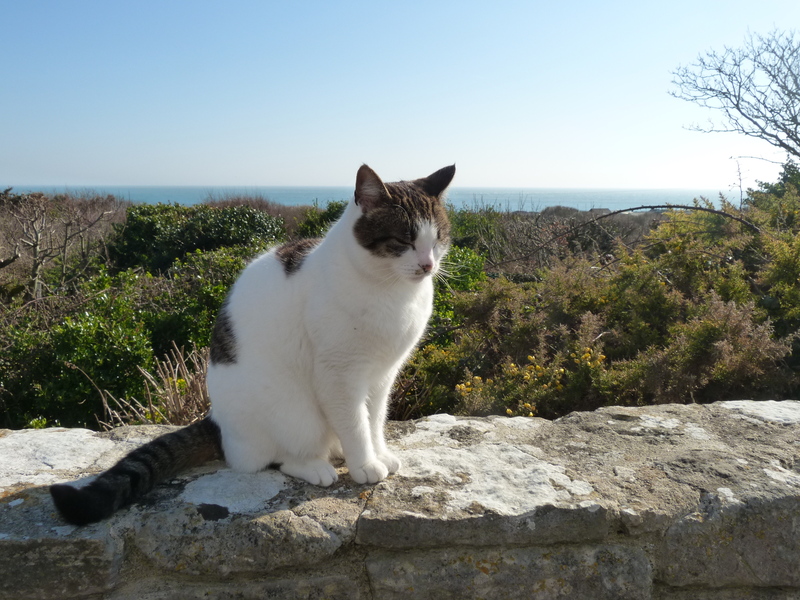 Last week a duck friend, this week a cat friend! I contributed to my first school group, giving the introductory talk about Chesil Beach to a Yr 9 group. I was a bunch of nerves but apparently I did really well, so I’m very pleased. 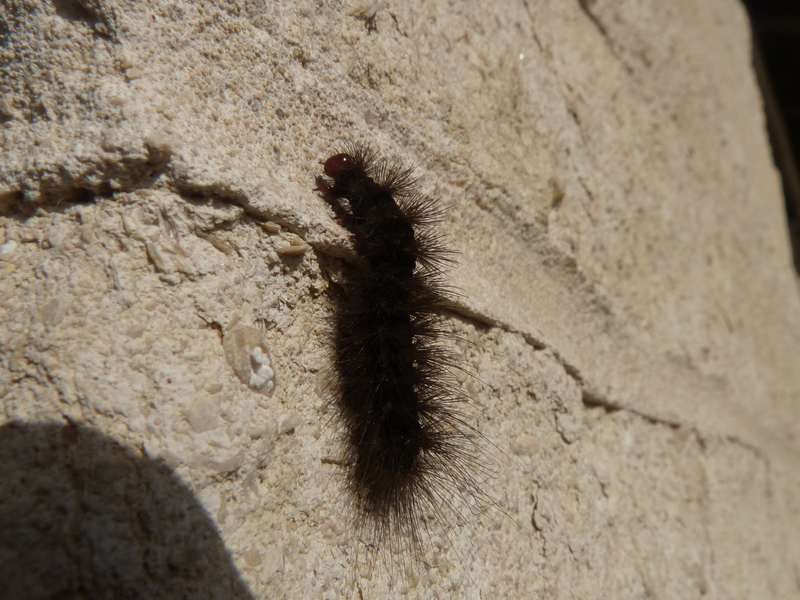 The centre had the caterpillar of a Cream-spot Tiger Moth on its outside wall, look up the adult moth, it’s stunning! 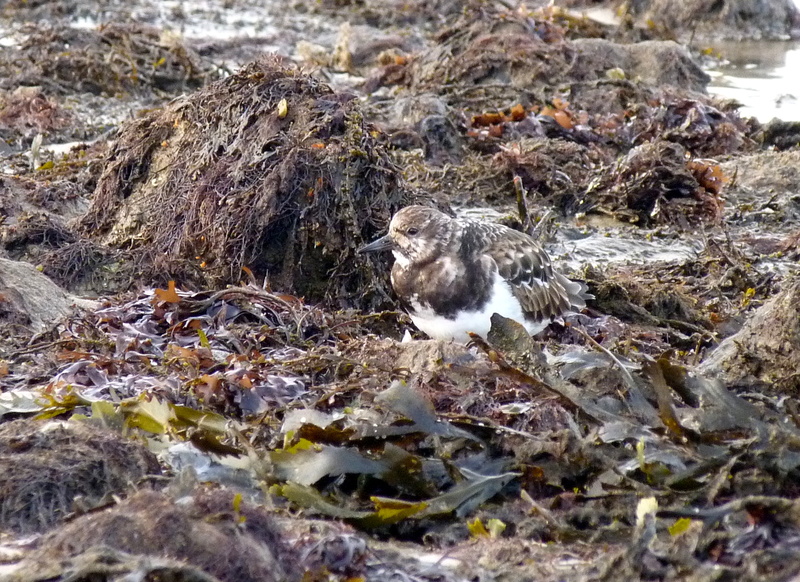 I headed over the road to Hamm Beach to photograph the turnstones (a bird species). And at the end of writing this blog post, I find that I’ve still managed to write a small essay even though I’ve missed out a few things! There’s just so much to be learnt and so much going on! 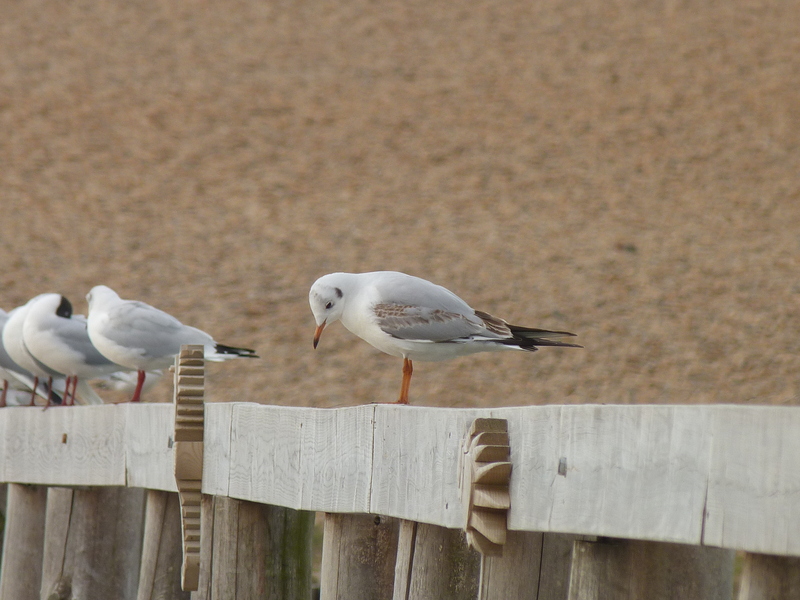 I shall finish with some gull photos as they were lined up rather nicely on the boardwalk earlier this week. PS – anyone else liking the Star Wars themed blog title? I think that’s my third Star Wars one now?